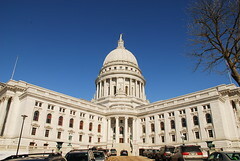 How’s the Workspace for Paralegals in Wisconsin? 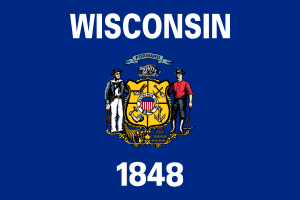 Wisconsin, a state notable for many things, is also of some note thanks to the high population of paralegals employed between its borders: some 3,500 by the 2011 Bureau of Labor Statistics survey. Like the majority of states, Wisconsin does not enforce stringent rules on the educational requirements of a paraprofessional. Indeed, it only states what cannot be done by one, such as displays in the Rules of Professional Conduct, Rule 5.3 regarding non-lawyer assistance which can be summarized in the following words: A non-lawyer must not give legal advice, nor misrepresent himself as a lawyer; not may the paraprofessional charge additional wages for time spent as a lawyer and certainly cannot present a client in a court of law as a lawyer. Rule 5.3 also establishes the relationship of a paralegal and his supervising attorney, which all paralegals have. A paralegal must work under the direct supervision of a practicing attorney who, in partial return for the assistance rendered, agrees to accept responsibility for the paralegal’s professional conduct, and teaching the paralegal professional ethics and confidentiality. Otherwise, every substantive legal procedure a lawyer engages in can generally be performed by a paralegal, making them time saving and indispensable. There are no statutory requirements for paralegals in Wisconsin; a paralegal does not need a degree or a certificate to practice, only the opportunity and – should a job be entered into without the paraprofessional owning any formal training – a mentor to help her learn as she goes. It’s becoming increasingly more commonplace for an aspiring paralegal to gain training and a degree before entering the field. A formal understanding of law and legal documents is far more preferred by employers than a clueless rookie. A paralegal certification is gained easily enough through a program from a local community college or something more substantial from a four-year university, private or public. The proud owner of a Bachelor’s degree can even go back to school with all general requirements out of the way and focus specifically on legal studies a Post-Baccalaureate certification often completed in about a year’s time. When choosing a school, look for one that is not only ABA approved but accredited as well. ABA approval, or those programs awarded recognition from the American Bar Association, gain such appreciation by meeting or exceeding the demands and rigors set forward by the ABA. An accredited school is required for courses and course work to genuinely ‘stick’ or mean something later down the road. It is granted by a local, regional or national authority and boils down to the school teaching its students correctly and in such a manner as to be educational. Both are important awardings for a school and the school’s offered programs. It can make a difference in your professional life, too. The exams are designed to showcase a paralegal’s strengths and core competencies, plus it looks very good on a resume. Certainly, Certified Paralegal is a title worthy of aspiration. Chippewa Valley Technical College in Eau Claire is a public, two-year school offering an AAS (Associate of Applied Science) degree in Paralegal Studies. Internships are mandatory. Lakeshore Technical College in Cleveland, WI is a two-year AAS degree in Paralegal Studies where the internship is mandatory and mixes day/evening classes with some online options for greater program flexibility. Madison Area Technical College in Madison is a public two-year school offering an AAS (roughly 4 semesters to complete) and a Post-Baccalaureate Certificate (about 2 semesters to complete). Internships are mandatory. Milwaukee Area Technical College in Milwaukee is a public two-year school extending an Associates Degree and a Post-Baccalaureate Certificate. The degree generally requires 4 semesters to complete and the Certificate takes 2 semesters. Northeast Wisconsin Technical College in Green Bay is a public, technical school offering an Associate in Arts degree, and Post-Baccalaureate Certificate. The Certificate requires a 2-year minimum length of time to complete the program: while the Associates Degree takes 4 semesters. Internships are mandatory. Western Technical College is a public, two year college in La Crosse that offers an AS in paralegal studies. Associations have developed over time to help springboard and assist paralegals in gaining public visibility and trust in their considerable skills. It is still a common misconception to assume only lawyers can do what they do and overlook paralegals entirely. Of late more attention has been gained but it’s not without effort. For a paraprofessional to join an association, local or national, shows an investment not just in one’s career but in the professional attitude of the career itself. Many associates find greater learning opportunities as well as being encouraged to gain greater understanding; many associations will sponsor workshops and seminars, pro bono work for community exposure and chances to socialize with other paraprofessionals, and simply to offer services not normally obtained otherwise. It’s recommended all aspiring paralegals, even students, seek an association to join. It can also provide job banking and a greater sense of community.